Nursing students must pass through a physical-skills obstacle course, as well, and come out the other side proficient. For some, who have experience as Candy Stripers or Nurses’ Aides, this may be no problem. For others, dealing with the body fluids from other bodies or poking needles, nasogastric tubes, intravenous lines and other equipment into real people–these are no small feats. Some of us struggle to be able to handle blood. Some never do get over gagging along with our patients. Michelle Meconi ’94 ‘99 remembers making her first hospital corners so very carefully, then turning proudly to her instructor, who said, yes, it looks good, but you went around the bed 23 times to do it. Perhaps nothing brings out a sweat for the nursing student as much as giving that first injection. How many first attempts bounce right off the skin? That flick of the wrist it takes for a sharp needle to penetrate the body’s elastic covering is not necessarily a first-try talent. It certainly is different from giving a shot to an orange. We begin to turn our non-nursing friends’ stomachs at campus meals with our vivid discussions of new clinical experiences. Surgeries we witness are especially good for this. Oh, yes, let the games begin! It’s fun to turn the big guys pale. We have discovered one of the most crucial insights for our future career: humor is invaluable. We can make a library cubicle, a dumb-waiter, a Recusci-Annie a lab station and even our text books into a moment of much-needed humor. 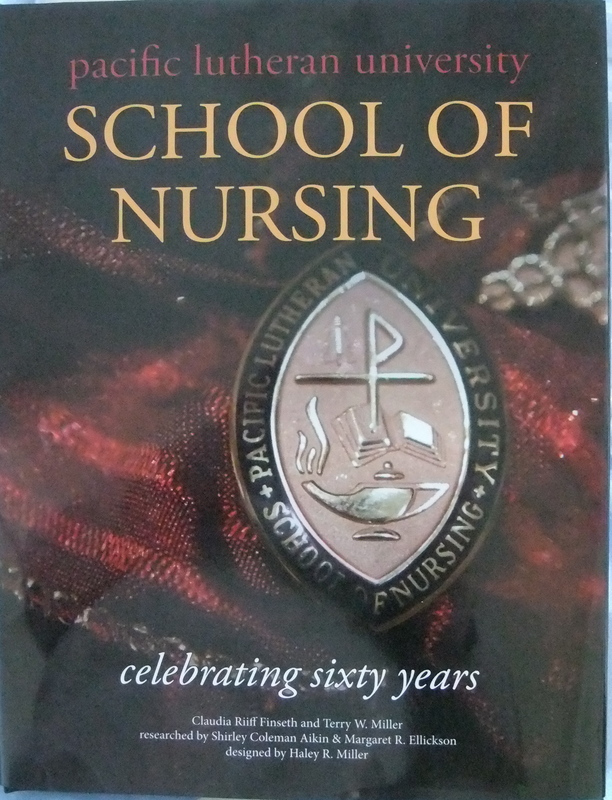 “I remember a group of us laughing uproariously at our Fundamentals of Nursing book,” says Janet Dressler Gollofon ’82. “Every procedure throughout the book always included washing your hands, explaining to the patient, providing for privacy, etc. We got so tired of reading those same directions over and over. What set several of us studying together over the edge one tired night was the procedure of how to administer a suppository. When the last step read ‘The nurse will remove her finger,’ we laughed so hard we had tears running down our face and our bellies ached. Really, was there anyone who could not figure that out on their own?” . . . .